Hello weekend, nice to see you! I hope your weekend is off to great a start! We hit up a local orchard yesterday afternoon for pumpkins (and kettle corn, ahem). We’ve had a couple of gorgeous cool, sunny fall days and it was great to take advantage of one! What do you have planned for the weekend? 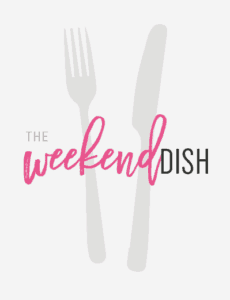 As always, you’ll find a recap of what was posted to the site this week, the most shared recipes, my Sunday dinner menu, and recipes I’ve bookmarked from other blogs. Enjoy! 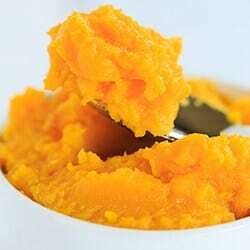 DIY: Homemade Pumpkin Puree – If you don’t have access to canned pumpkin where you live or are looking for an easy kitchen project, this is easy! 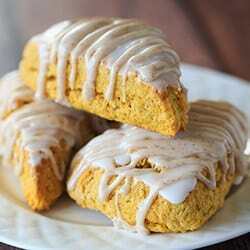 Pumpkin Scones with Spiced Glaze – A copycat recipe of the popular Starbucks pumpkin scones. 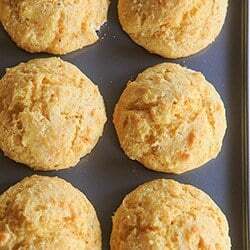 Cornbread Muffins – Fantastic cornbread in individual servings! 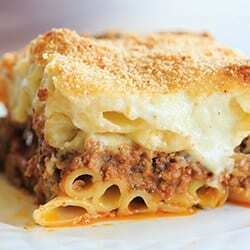 Pastitsio – The classic Greek baked pasta dish with beef, lamb, bechamel and lots of cheese! 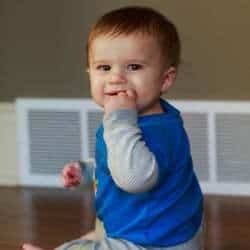 Friday Things – Milestones, blankets, the future, hairstyles and more! I need to make a “make more fudge” resolution for Christmas this year! Growing up, my very favorite amusement park treat was a corn dog, but I’ve never tried making them at home. Shameful! The ultimate fall taco recipe! Oh my, my head is spinning thinking of all the wonderful things I could slather this on! I made the tortellini for my sister last night for dinner (she’s 15 and has a teenage appetite). She loved it! Thanks for sharing! Aww that’s awesome, I’m so glad she liked it! 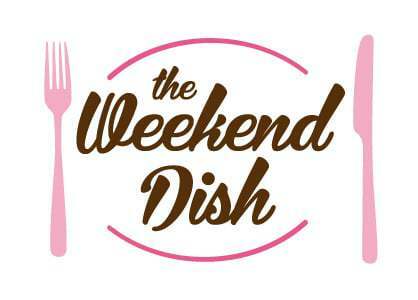 Love your weekends .. Whay not post the pictures of your Sunday table setting (food and dishes)? Hi Gal, Thanks for the suggestion! Will try to do that!